This afternoon get transferred to Mannum to begin your 8 day Murray Princess upper Murraylands Cruise. Enjoy a Welcome Dinner as you cruise north towards Caurnamont. Look for nocturnal wildlife on the riverbank such as kangaroos, hairy-nosed wombats, tortoises and many other species as you enjoy music from your onboard entertainer and cruise under floodlight to your overnight mooring at Caurnamont. Take in the spectacular Murray River scenery at daybreak and watch for the prolific birdlife of the area including swans, pelicans and wrens. Enjoy a small group, personalised wildlife tour on your discovery vessel to spot for the amazing birdlife of the region in the maze of the river. For those wishing to stay onboard, enjoy a game of bocce or fishing challenges before continuing your cruise upriver to Swan Reach and Sugar Shack Conservation Park, your mooring for the night. Breakfast, Small Group Discovery Cruise, Lunch, Bocce, Fishing Challenges, Dinner, Overnight Accommodation Onboard the P.S. Murray Princess. Continue cruising north today and pass through Lock 1, one of the 13 locks that maintain the water level and flow of the Murray River. 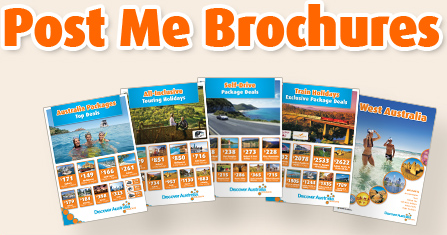 Arrive at the town of Blanchetown and tour to the town of Waikerie. Enjoy some free time in this Riverland town before travelling to Banrock Station Wine & Wetland Centre where you will enjoy a buffet lunch, wine tastings and a DVD presentation. Later, travel to Cadell where the P.S. Murray Princess will be waiting for you, and cruise to Wilson’s Sandbar, your overnight mooring. Breakfast, Lunch, Wine Tastings, DVD Presentation, Dinner, Overnight Accommodation Onboard the P.S. Murray Princess. This morning, join the First Officer for a talk in the Sturt Dining Room as you cruise towards Qualco. You will then start to make your way back downriver. Stop at Caudo Vineyard where you can enjoy a cellar door tasting and a tour of the orchards and gardens. This evening you moor at Morgan for the night. Breakfast, Lunch, Wine Tastings, Orchard & Garden Tour, Dinner, Overnight Accommodation Onboard the P.S. Murray Princess. Spend some time this morning exploring Morgan. The town used to be the home port of hundreds of paddle-steamers that carried cargo and passengers up the Murray-Darling River system during the 1800’s. Learn about the stories of the paddle-steamer era before returning to the P.S. Murray Princess and continuing your journey south. Moor opposite Blanchetown this afternoon and as the sun sets, join a guided tour of Burk Salter Boutique Winery and enjoy a wine tasting at the beautiful cellar door. Breakfast, Morgan Tour, Lunch, Winery Tour, Wine Tasting, Dinner, Overnight Accommodation Onboard the P.S. Murray Princess. Today marks the end of your Murray River adventure. Cruise back to Mannum this morning. Say farewell to the Captain and crew after breakfast and get transferred to Adelaide Airport for your flight home. 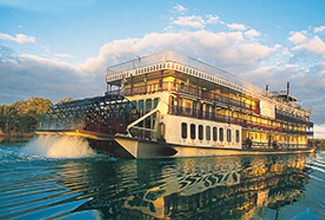 The Murray Princess 8 Day Upper Murraylands Cruise with Adelaide Stay is very popular. Many dates book out well in advance, please book soon.